Moving to a new place can be daunting. 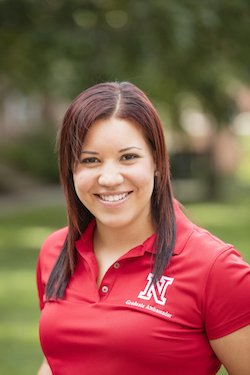 To help you prepare for moving to Nebraska (or moving mid-grad school career! 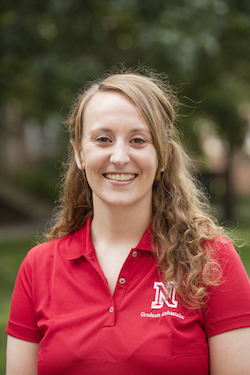 ), two ambassadors weigh in on picking where to live and preparing to commute: Jessica Tate offers considerations for graduate students looking for an apartment or house here in Lincoln, and Brianna Hitt shares her experiences as a commuter. Searching for housing options can seem like an overwhelming task. Add to that the excitement about starting graduate school, and it can be hard to know where to start. When I moved to Lincoln, I had an idea of what I was looking for: a place close to campus where I could live alone and have a large dog. Those criteria definitely shaped my search! Along the way, I learned a few things about finding housing in Lincoln. To help new (and returning!) graduate students, I’ve compiled a list based off of personal experiences along with input from other current graduate students at UNL regarding “things to consider” or “things I wish I would have considered” prior to moving to Lincoln. Should I live solo or shack up with a roommate? Personally, I was excited about moving out on my own. Still, living with roommates is a viable option for many graduate students for various reasons, such as saving money, companionship, and being able to afford a nicer apartment, among many others. If you do contemplate the idea of rooming with another graduate student, I would highly recommend reaching out to your programs listserv and other incoming students in your cohort to identify if others are also looking for roommates. Regardless if you decide to drive, bike, walk, or use public transportation; navigating your way around Lincoln is easy and convenient. How you like to get around will also help you determine where you want to live. For drivers, the city is compact enough that you don’t have to worry about heavy traffic during rush hour compared to larger metropolitan cities. For me, purchasing a parking permit so I can park close to me department has been a game changer and saved me precious time. Lincoln’s known for its amazing walking paths, bike trails, and bike friendly street lanes/tracks. Since Lincoln is a bike friendly community, many students will commute to and from campus via bike to get exercise and avoid needing to park on campus. Many students bike year round, even during the winter months at their own risk, because streets and sidewalks are usually quickly cleared of snow (check out Josh’s post on year-round biking in Lincoln). Pay attention to where the house or apartment is, and compare that to the map of bike trails and bike lanes! When you’re looking for somewhere to live, you might look for a place on or near a bus route. The public bus system, StarTran, is well-used by UNL students, faculty, and staff. The university issues a special bus pass riders present along with their UNL photo I.D., the N-Card. An added plus for individuals on the go is the StarTran Bus Tracker app which allows riders to view real-time GPS data of the city bus system on mobile devices. Just pay attention to the operation hours! Busses typically run from 6 a.m. to 6:30 p.m., so they’re a great option for people who work normal hours. If you start your day at noon and don’t finish until midnight, you’ll have to find a different ride home! It’s pretty easy to find apartments that accept small pets, including cats and dogs. Animals over 35 pounds are a different story. I have a 110-pound Akita, so his size and breed created multiple challenges in my search for an apartment. Many rental companies in Lincoln do not explicitly mention breed restrictions on the website. That said, inquire about pet restrictions and pet deposits before you tour a rental property that may not allow your pet companion. For big dog lovers, thinking outside the box is necessary to find housing. I’ve had success finding two nice converted apartments on Craigslist near the Capitol that did not have any dog restrictions. Converted apartments in Lincoln are very large antique historic houses or mansions that have been converted into several unique apartments. Many of these are located in the Near South Neighborhood, Mount Emerald and Capitol Additions Historic District. They’re usually small, family-owned properties that advertise on Craigslist, so they don’t have a website. In my experience, several of the places that allow large dogs never seem to advertise aside from a “For Rent” sign in the yard. If you’re able, spend a day or weekend in these neighborhoods canvasing for potential apartments that aren’t advertised on the web. On campus university housing is always an option, however, it isn’t the most popular option among graduate students who already spend most of their waking hours on campus. Living on campus is convenient; you’ll want to consider whether living off-campus is key to maintaining life/work balance, though. Because there are different ways people feel safe, it’s good to get a feel for your new neighborhood. I suggest visiting the neighborhood you’re considering during different times of the day and in the evening to get a better feel for the place. You can also check out the Lincoln Police Department’s webpage for crime statistics and to see police reports. Utilities in Lincoln are extremely affordable. For example, Lincoln Electric Systems (LES) customers pay 31% less than the nation’s average: According to the 2015 National Electric Rate Survey (January 1, 2015 Bills), LES residential customers using 1,000 kWh pay $94.09, compared to the survey average of $137.21. For more detailed information, refer to the LES website. In some cases, you may need to pay for gas to heat your home or apartment (rather than using electric heat); Black Hills Energy is the local provider. Of course, you can avoid those “extra” costs by finding a place that includes some or all utilities in the rent. Remember that you might pay more for a place that includes those costs, but it’s potentially cheaper to rent a place where those costs are included, especially if you’re renting an older apartment or house that has original windows. If the landlord covers electric and the heat is electric, it may be worth paying a little more when utilities are included. The list I’ve provided is a good starting point, and you’ll want to do more research as you find a place to live and prepare to move. Complete Moving Guide Lincoln, NE This website gives you an idea of what you’ll do to prepare your move, whether you use their resources or not. Apartment List asks a series of questions about amenities you’re looking for, how much you want to pay, and how you commute. Lincoln Chamber of Commerce is a great resource and links to all the Lincoln utilities. If you haven’t met other graduate students in your department yet, consider reaching out to one or two students (usually, your graduate secretary can connect you with someone). Other students can give you ideas of areas you might like to live in and share advice about commuting. My decision to attend UNL depended on many factors, including where my husband would attend graduate school. When he was accepted to UNMC in Omaha and I was accepted to UNL, we found that we had a great match. But we still had to make one more big decision – where would we live? Since we both grew up in Omaha, we decided to remain there where we could both have reasonable commutes. Although commuting can be a pain, I love where I live. We were able to stay in a familiar neighborhood, close to our friends and family and our church. Also, living in one city and going to school in another has allowed us to expand our horizons. My husband and I feel like we live in one giant city with our pick of concerts and sporting events in both cities: there’s the CenturyLink Center Omaha or Pinnacle Bank Area in Lincoln, we can attend Broadway musicals at the Orpheum Theatre or the Lied Performing Arts Center, and we have access to twice the exotic animals at the Wildlife Safari in Ashland and the world-renowned Henry Doorly Zoo in Omaha. Plus, we can enjoy the nightlife of Lincoln’s Haymarket and Railyard along with Omaha’s Old Market. My first year at UNL, we lived in west Omaha where I had a 40 minute drive to campus. For the past two years, we’ve lived in Bellevue, giving me a 53 minute drive. Now my husband’s graduating and he’s starting his first full-time job, so we’ll be moving closer to his work, extending my commute to 75 minutes. With a commute that seems to increase every year, I’ve become a bit of an expert on commuting to school. There are many people who commute between Omaha and Lincoln every day. This can make the roads a bit more congested during peak times. To beat traffic, I recommend avoiding getting to Lincoln between 7:45 and 8:30 am or during the lunch hour. Even more importantly, avoid departing Lincoln around 3:00pm (when kids are getting picked up from school) or between 4:30 and 6:00pm. If you must drive during these times, work on your patience. I can’t stress enough how important it is to know your way around Lincoln, especially if you don’t live here. Aside from your route to campus, it’s good to know an alternate route in case of traffic accidents, construction, or those pesky trains (I always avoid the intersection at 33rd and Cornhusker Highway!). It might be helpful to spend an afternoon driving around to get the lay of the land, or at least take time to look at a map and explore possible routes. This is easy to do, since Lincoln’s built on a grid system. The roads are very easy to navigate! If you live more than 30 minutes away from Lincoln, the weather and traffic might be very different at home than at school. It’s important to check the traffic before you leave home and have a radio station you trust for updates. It’s also vital to check the weather in both locations. You don’t ever want to be driving to school and find yourself in weather, and you probably don’t want to get stuck in Lincoln overnight either. Since weather can vary, I make sure to have a coat and blanket in the car, even if I don’t think I’ll need them. This way, I don’t get caught unaware if the weather changes in the middle of the day and I’m on campus. Life can be unpredictable. If you car breaks down or if you’ve stayed out too late with friends, you might not be able to make the drive home. It’s a good idea to make friends in Lincoln so that, if something comes up, you have a safe place to stay for the night. Commuting to school means that you’ll be spending a lot of time in your car, which puts you at greater risk of being in a car accident. It’s important to drive defensively – watch out for aggressive, sleepy, or distracted drivers. Even if someone cuts you off or tailgates you, try not to let it bother you. The most important thing is that you arrive safely at your destination. If you have a 35-minute commute, you’ll want to allow yourself more than 36 minutes to get to Lincoln. You never know what can happen once you’re on the road. Weather, accidents, construction, trains, car troubles and many other factors can extend your drive time. Plan ahead and allow yourself time to make the drive (while averting any potential disasters), find parking, walk to class, and maybe even take a breath. Parking on campus is expensive, but parking off campus can be a real headache. For parking on campus, make sure you allow yourself enough time to find a spot and get to class. If you can’t afford on-campus parking or prefer to park off-campus, plan ahead and have a few residential areas in mind. Again, allow plenty of time to park and walk to campus. Also, make sure that you park in a safe area and if you’ll be arriving back at your car after dark, make sure the area’s well-lit. You’ll definitely want to have a good playlist or radio station that you can jam out to on your commute. Music will also help to occupy you if you drive unexpectedly gets a little longer. I would personally recommend something that will keep you in a good mood and maybe even calm you when things get frustrating on the road. If you decide to commute to school, your car will become your new best friend. Because you’ll be putting a lot more miles on your car, make sure you perform regular maintenance. Also, you’ll be spending more on gas, so factor that in to your budget. Finally, it’s also a good idea to have an emergency kit in your car and know how to change a tire in case you find yourself stranded on I-80. Living outside Lincoln can be rewarding, and commuting takes a little more organization and planning. I hope you’ll use these tips to make your commute just a little bit easier.